The most demanding stage of creating a scuplture is the beginning. Because each stone is different, adequate time must be devoted on the initial design stage to fully utilize the shape, colour, texture and characteristics of the piece. Adding to this fact, all sculptures are hand carved, making evry piece a "one-of-a-kind" original. No reproduction or duplicates can ever be achieved. Each piece is always "As Unique as You". Stone carving tools have not changed significaly since the technique of forging steel was developed. 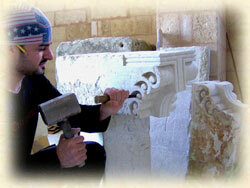 Most limestone carvers still prefer the old hand forged chisels, and keep a wooden mallet close at hand. The basic concepts of carved stone work haven't changed much in thousands of years, even as the tools have slowly evolved. 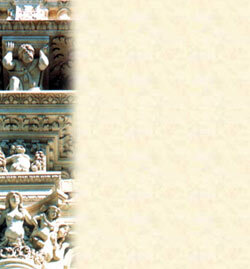 As a stone sculptor, I work primarily in Lecce Stone. 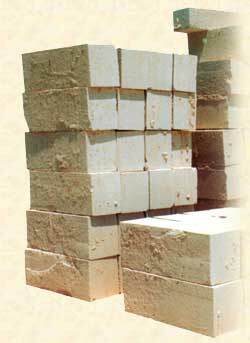 Using local stone allows me to be highly selective in my choice of stone, and I generally go to the quarries to select my own rocks. The province of Lecce offers a wide variety of Lecce Stone that allows the stone carver to work with rock ranging from the golden and smooth, to the black and marble-like pieces. 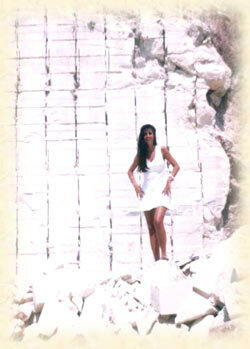 Creating stone sculptures is an extremely demanding art. Each piece requires a different approach. Typically the bulk of the stone is removed with a diamond saw and a hammer and chisel. With the majority of the rock removed I shift over to a pneumatic hammer and chisel. One can get very close to the finished surface with these tools. I then go back to a hand hammer and chisel, and files for the fine detail. Finally, the finishwork is done with diamond abrasives, sandpaper and polishing compounds. During this process I often make changes to the original as I see improovments and as the stone dictates.